If you are in need of Houston TX chimney caps call Chimney Wildlife Tech (832) 413-6431 for a custom made cap to fit your home. Houston TX chimney caps are there to protect your chimney as well as your home from fires, unwanted animal entry and more. 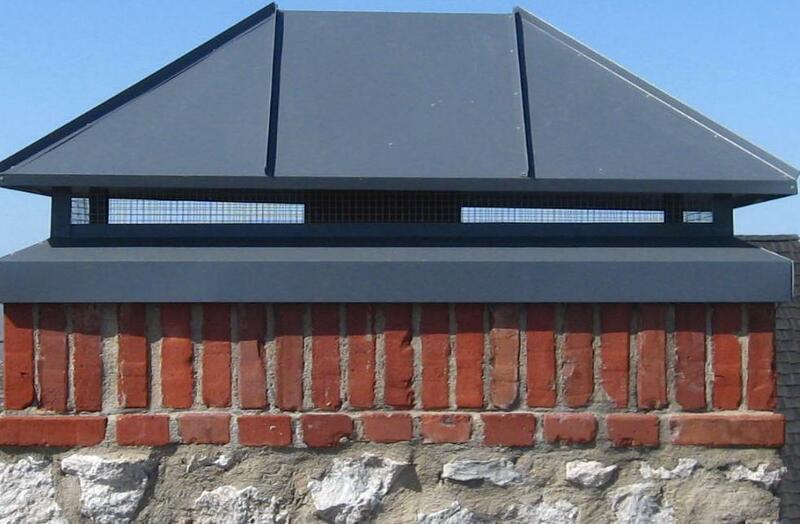 When you have a chimney cap in place on your home you are not only adding to the appearance of your home but also ensuring the safety of your fireplace. If you are wondering if you need Houston TX chimney caps call us today for an evaluation. With Houston TX chimney caps in place you will; eliminate the most moisture penetration of the flue, eliminates damper deterioration. Rust. Guarantee your flue’s integrity. No cracks due to moisture entering the flue. Eliminate firebox moisture damage. Cracks in the back wall are reduced. Mortar crown covered from heat exposure and moisture. First course of brick/stone is covered. Helps protects the mortar joints from mold growth on the exterior of the chimney. Better animal guard because animals cannot sit on top of the mortar crown to gain access. Better bird guard because birds cannot roost on chimney top. And last but not least, better appearance! If you are looking to have Houston TX chimney caps installed on your home contact us at Chimney Wildlife Tech (832) 413-6431 for an evaluation and estimate on a custom cap for your home.